So you’ve hired a professional lawn care company, but are you really getting the most out of your services? Getting a great-looking lawn is much easier with a professional service, but it’s also vital that YOU are involved in the process. Check out our tips to make sure you are getting the most for your money! Maintain Your Lawn and Follow Recommendations: A good lawn technician should keep you informed on what is being done with your lawn and should also make recommendations on how you can further maintain it. For example, at Weed Pro our technicians will leave notes on your invoice about anything you might need to know from how often you should be watering to how to properly mow your lawn. Following these recommendations will help ensure that your lawn care program will work effectively and that your lawn will stay healthy! Pay Attention to Your Lawn: While your lawn technician can’t be there everyday to look at your lawn, you can. Make sure that you are going out onto your lawn and observing to see if there are signs of weeds or any discolorations in certain areas. Look for anything that looks unusual, especially since something such a discolored area could be the first signs of lawn disease. Read about some summer disease you need to keep an eye out for here. Ask Questions and Educate Yourself: Don’t be afraid to ask your technician questions and get information. They are there to help! It’s important that you understand the lawn care program you have and how it helps keep your lawn healthy. Know what to look for when it comes to diseases or problem spots. 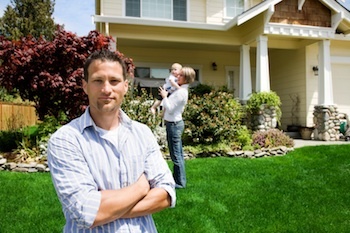 Voice Your Concerns: If you have any concerns about your lawn, make sure you let the company know. Talk to your technician or the customer service department. At Weed Pro, we like to reach out to our customers throughout the season to see how the services are going, but we also encourage all of our customers to call in if they are unhappy with anything. At Weed Pro, we want to make sure that you are getting the most out of any services we have to offer. Check out all that we have to offer on our website and also get a FREE estimate!